China Tibet Online announced the forthcoming completion of the Palshol Laohuzui Hydroelectric Power Station on the Ba River in Kongpo district of Nyinchi prefecture. The Ba is a tributary of the Niyang, itself flowing in the Yarlung Tsangpo (Brahmaputra). The Chinese site explains: "The first unit of Palshol Laohuzui Hydroelectric Power Station is expected to generate power by the end of this year. 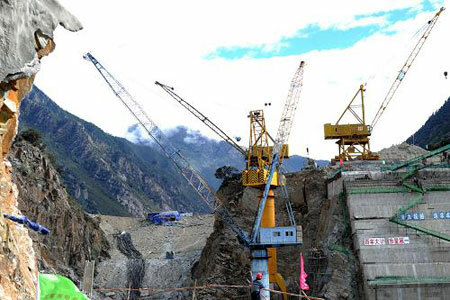 As one of the key projects in the 'Eleventh Five-Year Plan' period, the construction of Palshol Laohuzui Hydroelectric Power Station will be completed by April 30, 2011." It is high time that the Government of India signs with the People's Republic of China a treaty on Tibet's water similar to the Indus Waters Treaty signed with Pakistan in 1960. Pakistani map showing the area affected by the floods. This editorial of Dawn (Pakistan) is interesting. It shows the floods are not only the 'hand of God', men greatly participated: "the very structures meant to control flooding have partially caused and definitely exacerbated the flood problem itself." 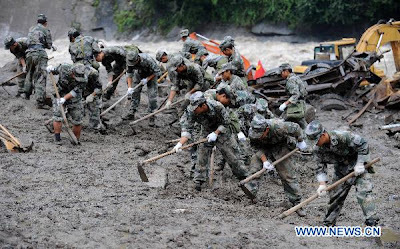 The same thing happened in Tibet in Drugchu (Zhouqu) for the mudslide which killed 1500 people. In a previous posting I have quoted poetess Woeser: "Tibetan blogger Woeser quotes several government report: "There are 47 hydroelectric power plant construction projects in the region and so far 15 hydroelectric power plants have been constructed, 14 more are under construction,” adding that local Tibetans believe the extensive construction projects have upset the fragile ecosystem of the region." What will happen if, one day, Beijing decide to dam the Brahmaputra with a structure twice the size of the Three Gorges Dam? THE devastating floods in Pakistan have once again ignited public debate on the necessity of new water reservoirs in the country. The proponents of Kalabagh Dam, including some prominent politicians, TV anchorpersons, and Punjab water engineers, hold that if Kalabagh dam had been built, we would not be facing the present disaster wreaked upon millions of people in the Indus Valley. According to them, the Kalabagh dam or any other water engineering project should not be politicised because these issues are essentially ‘technical’. Decisions on such vital issues should be left to the wisdom of engineers and technical experts. Implicit in this argument are three underlying assumptions, all three of which are incorrect. First, it is assumed that ‘technical’ engineering interventions in natural (water) systems have nothing to do with politics. Second, that the control of river flows through engineering structures is the best possible way to control flooding. Third, that the knowledge of the engineering community is conclusive and beyond any critical scrutiny. Nonetheless, mounting evidence and experiences throughout the world suggest that these assumptions are not only reductionist but also in fact part of the problem of river basin management. A closer analysis of the present flood and flood-related events experienced at/around Taunsa barrage furnishes us with some counter-intuitive, and indeed, scandalous evidence: the very structures meant to control flooding have partially caused and definitely exacerbated the flood problem itself. The flood trauma started with the breach of the eastern marginal embankment in the upstream of Taunsa barrage. The breach caused the Indus to outflank the barrage and the river carved out a new channel to the left of its original course. Very shortly, floodwater flowing down this new channel found its way into the extensive network of irrigation canals on the left side. Consequently, masses of roiling, churning floodwater are now rushing through and inundating relatively higher ground which was rarely inundated by the Indus. Nature is responsible, yes. But we must not overlook the role that engineering structures have played in transforming the present floods into an enormous disaster unparalleled in the history of this region. Taunsa barrage is one of the most vulnerable diversion structures built across the Indus River. Therefore, it was recently rehabilitated and modernised with the help of a World Bank loan of $144m. The project was approved and implemented on an emergency basis so that the barrage could be kept functional. All that money has been washed right away. The Bank is now involved in similar costly rehabilitation works at Jinnah barrage, the latter also failing to withstand these recent floods. Jinnah barrage’s staff was compelled to blow up the embankments on the right bank resulting in widespread inundation and heavy damages to the under-construction hydropower project also stationed there. The Bank has plans to undertake similar rehabilitation projects at other barrages in Punjab. When the rehabilitation of Taunsa barrage was being planned in early 2004, local civil society objected to the dominant engineering perspective and asked the Bank and the irrigation department to pay more attention to mitigating the barrage-induced alterations in river hydrology and problem of sediment deposition, a phenomenon which has made the flood protective structures susceptible to regular failure. In this regard, a memorandum was submitted to the then country director of the World Bank. The memorandum asked both the Bank and the provincial government to appoint an independent review commission to ascertain the nature and scope of rehabilitation works at Taunsa barrage. However, the country director turned down the demand in a separate press conference. The main problem with Taunsa barrage is the rising riverbed owing to huge sediment deposition in the upstream areas. Before the construction of dams and barrages, the Indus used to transport about 250 megatons (Mt) of sediment annually, mostly silt and clay, to the Arabian Sea. This helped in the development and nurturing of freshwater mangroves prior to the phase of dam construction. By 1974-75, this had fallen to about 100 Mt per annum and it is believed the present rates are negligible. Taunsa barrage traps huge sediments left over fromthe upstream storage and diversion structures. Moreover, the pond area is additionally fed annually with large amounts of silt eroded from the highly degraded catchment areas of the Suleiman Range. These heavy silt loads are transported through western tributaries (hill-torrents) of the Indus River. The obstruction of great volumes of water together with the suspension of a large amount of sediment has complicated the flooding problem at Taunsa barrage. The riverbed levels are now higher than they have ever been. The construction of a series of protective levees and dykes has also contributed to raising the riverbed and the sedimentation of upstream areas. These changes forced the river into developing an oblique flow line and establishing a more tortuous course. Consequently, it now spends its vigour on eroding the vulnerable banks. Moreover, the rising riverbed levels have rendered protective levees and river training works ineffective. Under the rehabilitation project, the crust level of the barrage was raised by one foot so that silt entry into the right bank canal could be controlled. The protective embankments were also to be raised correspondingly but criminal negligence in this regard resulted in no such measures being undertaken. Similarly, local accounts and media reports suggest that the barrage staff has failed to properly operate the newly installed motorised hoisting system. According to these reports, 10 gates were not fully opened which, if true, turned out to be the main cause of the flood disaster. The truth of these reports must be ascertained, but if they hold, then an official inquiry must be held into the incident and people held accountable.The nature of the debate on the Kalabagh dam in the aftermath of the flood disaster is depressingly flawed. Not only is this debate politically divisive for an already fragile federation, it also covers up the story of how engineering failures have contributed to this disaster. Reconstruction without the benefits of an honest analysis would be tantamount to recreating this same situation, or even worse, in the future. The writer is a native of Taunsa and teaches at Quaid-i-Azam University, Islamabad. And then early September comes, there is ‘la rentrée’, literally ‘the return’. It means that the country returns to all the issues which were blissfully forgotten while tanning. The government has to go through the same perpetual dreaded cycle with a ‘la rentrée sera chaude’ (the return will be hot) announced by the trade unions. Before leaving for his vacation at one of his wife’s properties on the Cote d’Azur, President Sarkozy triggered a debate which kept busy the poor journalists stuck in their office during the sacred month and the public for once reading the papers. The hot subject of this summer was: should France tighten its ‘security’ and who should be made the scapegoats for the deteriorating situation in the suburbs of the big cities. The President had an idea which he offered to the media in a speech in Grenoble at the end of July. He proposed that anti-social elements who had recently acquired French nationality be stripped of their citizenship, if they committed crimes against police personnel. Though nobody in the government was there to answer, it generated a heated debate. From the sites of their respective vacations, all ‘senior’ politicians issued a communiqué to clarify his/her positions. How can a nation which invented the mantra of “Liberty, Equality, Fraternity” and was the first of speak of the equality of all citizens in front of the law, speak of a double-tier law (one for ‘true’ French, one for new ones). More than two centuries ago, during the French Revolution, a first Constitution was passed by the Constituent Assembly; it guaranteed natural and civil rights for all citizens: “All similar offences shall be punished with similar penalties, without any distinction of persons.” It meant that the law and the Constitution conferred to all French citizens, true equality. The legal question is: can someone who has acquired French citizenship be treated differently from a person who is French by birth? Having realized the blunder, the Sarkozy government is now backtracking a bit. They say it should be applicable only in two exceptional situations (bigamy or an attack on police personnel). The fact is that such law existed before 1998, but it was implemented only in extremely rare cases: anybody having acquired the French nationality less than 10 years earlier, could get stripped of his/her nationality if they committed a ‘grave crime’ which includes terrorism, sedition, spying for a foreign power or high military treason. Practically it has never been implemented. One of the reasons is that France is a signatory of an international convention which forbids the creation of stateless persons. This indeed complicates the situation further (for the French government at least), as it means that the person can be stripped of his/her citizenship only if he/she has another, which is often not the case. In other words it could be applied to only very few persons. So one could ask: why all this noise? Like in India or any other democracy, France has vote banks. Sarkozy is not doing well in the surveys, more than 65% of the French are unhappy with his policies. The best way to rise again in the minds of the voters, calculated his communications advisors, was to look tough and bang on the table. To grasp the story of the summer, one has to understand the concept of ‘effet d’annonce’ (“announcement effect”). It has been devised by the communication gurus of the President. The principle is simple, you make a big ‘announcement’ which is splashed out by all the media and then you wait. It is not unknown in India; many politicians know the trick without having attended IMM or Harvard. They promise free TVs sets (or anything similar) to an entire section of the population (read voters) and for a few months they can reap the effect of the announcement without doing anything. If their survey barometer improves, it is good, if not, they can always blame it on the opposition or the ‘political atmosphere’ which stopped them from implementing their vision. Nicolas Sarkozy made another announcement which made even more noise than the nationality stripping: all the Romas living illegally on French territory would be rounded up and sent back to their country of origin Romania. Since the decision was made public, several hundred Romas have already journeyed back to Romania in charters paid by Paris. Since the integration of Romania in the European Union (EU) in 2007, any citizens of this country can normally freely circulate within the EU. It is estimated that there are 15,000 Romas living today in France; in most cases they live in slums (according to Brice Hortefeux, the French Home Minister, the percentage of crime in the Roma community increased by 138% in one year). In French law, if after three months stay, any citizen of Europe has no revenue and no fixed residence, he is subject to deportation. The main argument of the ‘securitarian’ lobby in the Government is that most of the Romas are in illegal situation, while opponents speak of human rights as citizens of the EU are being deprived of their rights to circulate. It appears that the French government was not well prepared for the onslaught of protest, not only from the socialist opposition, but also from the international media who almost unanimously condemned the French move. But worse came from the Pope who joined the bandwagon. From his vacation palace in Castel Gandolfo, the Pontiff gave a speech in French about European citizens not being able to move wherever they wanted. It was not much appreciated in Paris which continued with the expulsions. The archbishop of Paris also jumped in the fray and defended his boss. Cardinal André Vingt-Trois, who is also the President of the Conference of Bishops of France regretted the ‘unhealthy climate’ created by the decision. Though he clarified that he did not object to the law per se, he pointed out that the implementation of the law was not always ‘moral’, adding that ‘legality should be accompanied by a deep-thinking on the sense of humanity’. It did not really help to solve the problem, which Hortefeux considers as genuine. Survey companies got a lucrative job for the holidays. According to one investigation conducted by the usually-reliable firm CSA for the daily Le Parisien, 48% of the French are in favour of the expulsions while 42% are opposed. 10% refused to answer. Le Figaro conducted another survey to find that 65% were in favour of the eviction of Romanians, if their papers were not in order. And now September’s return comes! With persisting criticism and probably fearing negative political collaterals, French Prime Minister Francois Fillon (who is far more popular than the President) announced his decision to Europeanise the issue. He told the annual Conference of French Ambassadors that he had spoken with the European Commission President Jose Manuel Barroso and that he planned to hold a ‘working meeting’ between some of his ministers and the concerned European commissioners. As voices in Sarkozy’s camp began to be heard against the drastic measures (not so drastic in fact, because most evacuees will return to France after a short time), Mr Fillon affirmed that the French policy did not breach any EU directives from Brussels: “The deportations of Roma to their countries of origin made by our country have been made in full compliance with European law.” He added: “France considers that the only long term solution for these fully-fledged European citizens is better economic and social integration, first of all in their country of origin." Fillon explained further: “Our priority is also with the plight of the Roma children. Many of them are exploited by criminal networks. This is a situation that is unacceptable in the EU." In the meanwhile, the French government received Valentin Mocanu, the Romanian Minister of State, responsible for the Romas and his colleague in charge of public security Dan Valentin Fatuloiu. The encounter was friendly according to Eric Besson, the French Minister for integration. “We will collaborate better on the question of reintegration, he declared after the meeting. Mr. Fatuloiu spoke of “the will of both governments to better manage bilateral migratory flux”. Nice terminology for a thorny issue. According to the website Europolitics: “The EU executive is struggling to shed light on the Romas' right to free movement and the prohibition of the discrimination of which they are victims across Europe. The 10 to 12 million Roma make up Europe's largest minority.” For the European Commission they have "the same rights under European law as other Europeans." Apart from the emotions generated during vacation time, one realizes that the construction of Europe is not an easy path and it will take a few decades to have a true integration. But one can still dream when looking at the situation in the sub-continent where Indians are not even allowed to go to a flooded Pakistan to help their South Asian brethren (please note that the Chinese are welcome: 11,000 PLA jawans are said to have reached occupied Gilgit-Baltsistan). We are living in a complicated world. The only hope for the Tibetans? One usually considers The People's Daily or Xinhua as tools used by the Communist regime in Beijing for their propaganda. Today, I found this interesting article in China Tibet Online, one of their affiliates. This is not propaganda, it is pure truth. 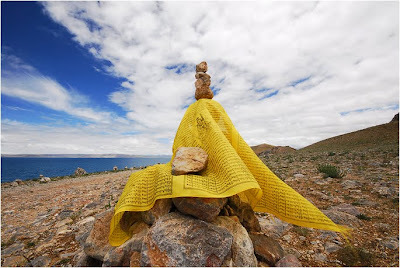 Today, the only hope for the Tibetans is to pray around their sacred stones and their hearts. In his Last Testament, the Thirteenth Dalai Lama explained how he came back to the Land of Snows after a two-year exile in India (1910-12). He wrote: "As a result of our past meritorious karma and the numerous prayers and services that were conducted in Tibet, internal strife took place in China. It was no problem, therefore, to completely drive out the Chinese force from Tibet. From then on the year of the Water-Monkey (1912), there was renewed happiness and peace reigned in Tibet." Prayers (and manis) will probably save Tibet once again. But when? The mani stone mounds near a holy lake in southwestern China's Tibet Autonomous Region. Mani stones, which are made of stone plates, rocks or pebbles, inscribed with characters, images such as Six-Syllable Prayer and Buddha, are regarded as the dreams, feelings and hopes of Tibetan people. These extracts of a book by R.D. Pradhan who served as Private Secretary to Defense Minister Y.B. Chavan in 1963, tend to prove that the CIC has not done his home work; he has probably not read the Henderson Brooks Report as stated in his order on the appeal of Kuldip Nayar. He may have only glanced through it. Pradhan clearly states that the so-called sensitive information on the deployment of the Army in the NEFA were outdated (he published his book in 2007). One can add: it is hopefully the case, otherwise it would extremely serious.Can you imagine the same deployment in 2010 than in 1962!! Pradhan gives the two reasons for keeping the Report secret. Interestingly they are not direct attacks on Nehru, though 'oblique'. The first is a saying of the fist British Commander in Chief-in-Chief, Field Marshll Robert: "The art of war teach us not to rely on the likelihood of the enemy not coming, but on our own readiness to receive him; nor on the chance of not attacking but rather on the fact that we have made our position unassailable”. The other one reads: "“the Higher Direction of War and the actual command set-up of the Army were obviously out of touch with reality”. That is not much to keep the report secret for 47 years. Once again, if they were sensitive informations, they could have easily been sanitized as it is normal practice in any declassification process. Extracts of “1965 War: The Inside Story, Defense Minister YB Chavan’s Diary of the Indo-Pakistan War, published Atlantic Publishers, New Delhi, 2007) by R.D. Pradhan, Private Secretary of YB Chavan between 1962 and 1965. "Thus for Chavan the main challenge in the first years was to establish relationship of trust between himself and the Prime Minister. He succeeded in doing so by his deft-handling of the Henderson-Brooks’ Report of Inquiry into the NEFA (North East Frontier Agency – present Arunachal Pradesh) reverses. At the same time, le learnt some ‘lessons’ that helped him in the conduct of the 1965 Indo-Pak War. In this context, it would be relevant to refer to the Henderson-Brooks’ Report which remains an extremely closely guarded secret till this date. During one of the debates, the prime minister has assured the Parliament that an inquiry will be held into the debacle. After much deliberations, Chavan proposed an inquiry by a committee of two serving army officers rather than a judicial probe or a public enquiry as expected by the Parliament. Further instead of the Defense Minister appointing a committee, he asked the Chief of the Army Staff [COAS] to set-up the same. Accordingly, a two-man committee with Lieutenant-General Henderson-Brooks and Brigadier P.S. Bhagat was formed. Both officers had impeccable record of service. Henderson-Brooks, an Australian national, had opted to serve the Indian Army after partition and Prem Bhagat was the first Indian officer to be conferred the Victoria Cross during World War II for bravery on the battle field. Their report was presented by the COAS to Chavan in July 2, 1963. The report contained a great deal of information of an operational nature, formations and deployment of the Indian Army. In 1965, it was considered too sensitive to be made public and although outdated today, the report unfortunately remains secret. Author [R.D. Pradhan] is the only person alive who had examined the report for preparing the statement that Chavan presented to the Parliament. During the conduct of the enquiry Chavan was apprehensive that the committee may cast aspersions on the role of the Prime Minister or the Defense Minister. His main worry was to find ways to defend the government and at the same time to ensure that the morale of the armed forces was not further adversely affected. For that he repeatedly emphasized in the Parliament that that the enquiry was a fact-finding one and to ‘learn lessons’ for the future and it was not a ‘witch-hunt’ to identify and the punish the officers responsible for the debacle. It was a tribute to his sagacity and political maturity that he performed his role to the full satisfaction of the Parliament and also earned the gratitude of the prime minister. Some lessons that he learnt are be found in the statement he presented to the Parliament (reproduced in annexure). But is also a fact that while going so, he also suppress certain critical observations. A few words about those might throw light on Chavan’s conduct at political level in the 1965 war. Contrary to general expectations the report did not directly indict any political leaders. It was done obliquely. On the lack of proper political direction, the committee quoted British India’s first Commander in Chief Field Marsh Robert’s dictum: “The art of war teach us not to rely on the likelihood of the enemy not coming, but on our own readiness to receive him; nor on the chance of not attacking but rather on the fact that we have made our position unassailable”. There was another observation: “the Higher Direction of War and the actual command set-up of the Army were obviously out of touch with reality”. In a way, this was an indirect indictment of the political leadership and the manner in which the operations in NEFA had been handled. Chavan found these observations a very harsh judgment on Pandit Nehru’s handling of India’s relations with the People’s Republic of China and for which many felt at that time that he was so much weeded to the Panchsheel that he refused to believe that China had some other intentions. By accepting that comment publicly, he did not want to cause any more anguish to the prime minister who was already shattered by the perfidy of the China’s leadership in subscribing to the Panchsheel but all the time preparing to attack India. At the same time, he did not want to formally reject this observation because that might further aggravate the morale of the very same senior officers on whom he depended to get the army into shape to face any future aggression. He decided to suppress those observations. So far as the Parliament was concerned he performed so ably that the end of the debate, the leader of the opposition profusely thanked him for his candid reply to the date. That way, politically, Chavan established his own identity. He also earned trust and confidence of the prime minister for the manner in which handled the most severe indictment that the prime minister had to face in his long parliamentarian career. The report was a grant education for the novice defence minister. He made copious notes in red ink to help him understand that military jargon. Those ‘two observations’ would offer guidelines to Chavan to shape his own role as Defence Minister. He also earned kudos of his service chiefs for not carrying ‘witch-hunt’. His relations of mutual trust to each one of them was crucial to conduct the 1965 War as evidenced in his Diary." My article China’s core interests appeared today in The New Indian Express. Click here to read. Once again, the visa row is part of the PLA asserting itself before the reconstitution of the Central Military Commission in 2012. India should just remain firm. Beijing is playing with fire. If the Chinese side insists on Kashmir being disputed, Delhi could raise the Tibet issue. Please note that the Communists have no opinion on the matter; as usual. NEW DELHI: India has cancelled defence exchanges with China after Beijing refused to allow the visit of the Indian army's General Officer Commanding-in-Chief, Northern Area Command, because he was responsible for Jammu & Kashmir, a state that China maintained was disputed. In keeping with a practice for the past few years, the Indian defence establishment in June had began preparations for a regular high-level exchange visit to China this August by one of the top commanders of the Indian army — the northern area commander, Lt-Gen B S Jaswal. However, Delhi was stunned when Beijing responded to his nomination by saying that it was unwilling to "welcome" Gen Jaswal because he "controlled" a disputed area, Jammu and Kashmir. An angry New Delhi shot off a strongly worded demarche to Beijing, protesting its decision. Soon thereafter, India refused permission to two Chinese defence officials to come to India for a course at the National Defence College. A subsequent visit by Indian military officials to China was also cancelled by India. To ensure that there was no ambiguity about the reason for its annoyance, New Delhi has since also bluntly told Beijing that the unexpected decision to block Lt-Gen Jaswal's visit to China was the reason behind India's decisions. New Delhi found China's behaviour particularly provocative because in August 2009, Lt-Gen V K Singh, currently the Army chief and then the GOC-in-C Eastern Command, had visited China for a similar high-level exchange. If territorial sensitivity was the issue with China, then Singh's visit should have been even more problematic because, as head of the Eastern Command, he had jurisdiction over Arunachal Pradesh, a state that is claimed by China. The Chinese have been needling India on Kashmir for a while. Beijing refuses to paste visas on the passports of residents of J&K, and staples them instead, despite repeated protests from India. As the Indian government refuses to recognize stapled visas as valid travel documents, the upshot is that the people of J&K can't visit China. 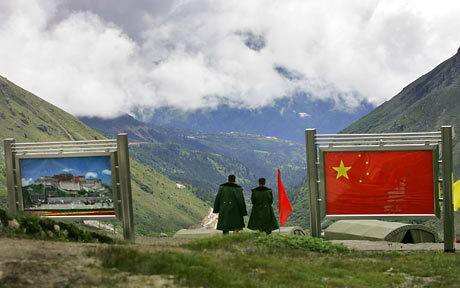 Beijing, in fact, also denies visas altogether to the residents of Arunachal, claiming them to be Chinese citizens. Still, it did not have any hesitation in "welcoming" Gen J J Singh as the head of the Eastern Command in May 2007. This would make it appear that Beijing was going a step further to needle New Delhi on Kashmir. New Delhi has, however, has not allowed this issue to spill over elsewhere in the bilateral ties. China's aggressive approach on J&K is, of course, directly connected to its close relationship with Pakistan. China- Pakistan ties is viewed to be aimed at keeping India boxed in, and this manifests itself in many different ways. In 2008, China started construction activities in PoK, which India regarded as provocative. In 2010, China announced that it would supply two nuclear reactors to Pakistan. It is not fair of the Chief information Commissioner to speak of the incompetence of the Indian military top brass, without mentioning the names of the politicians who have selected the 'top brass'. As often, it is the Army which suffered and it is the Army which is been blamed. These remarks were entirely unnecessary. The Commission refused to declassify the Henderson Brooks on the ground that it could endanger national security (see CIC order on my website). The Bench (comprising Chief information Commissioner Wajahat Habibullah and Information Commissioner ML Sharma) said: "We have examined the report specifically in terms of its bearing on present national security. There is no doubt that the issue of the India- China border particularly along the North-east parts of India is still a live issue with ongoing negotiations between the two countries on this matter." Well, it is possible that some portions of the Report mention the five rounds of border talks between India and China in 1960 or other information related to the border (perhaps the situation in the Aksai Chin), but as it is admitted but the Army Headquarters the Report is only an internal review which did not engage the Army (or the Ministry of External Affairs). Col. Raj Shukla who represented the Army during the hearings said: "The report prepared by Lt. Gen. Henderson Brooks and Brig. 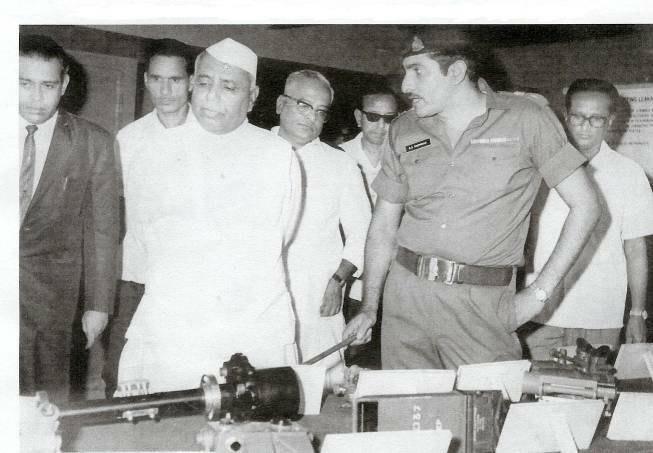 Prem Bhagat was a part of internal review conducted on the orders of the then Chief of Army Staff Gen. Choudhary. Reports of internal review are not even submitted to Govt. let alone placed in the public domain. Disclosure of this information will amount to disclosure of the army’s operational strategy in the North-East and the discussion on deployments has a direct bearing on the question of the demarcation of the Line of Actual Control between India and China, a live issue under examination between the two countries at present." The only logical thing that the CIC should have done was to ask for the declassification of the Report and request the Army (or the NSA) to sanitize the portions which could jeopardize the current negotiations with China. The CIC was probably not aware that the Indian Defence Minister had, in reply to a question, announced in the Parliament on April 1, 1963 that an inquiry into the reverses in NEFA had been instituted. The Minister affirmed that a “thorough investigation had been ordered to find out what went wrong with (i) our training; (ii) our equipment; (iii) our system of command; (iv) the physical fitness of our troops and (v) the capacity of our Commanders at all levels to influence the men under them". The purpose of the inquiry was to not witch-hunting, he said, but to 'derive military lessons' and to “bring out clearly what were the mistakes or deficiencies in the past, so as to ensure that in future the mistakes are not repeated and such deficiencies are quickly made up". The Inquiry Committee was headed Lt.-Gen. T.B. Henderson-Brooks with Major-General P.S. Bhagat as a member, he announced. How to learn lessons, if nobody can access the Report? NEW DELHI: Chief information commissioner Wajahat Habibullah on Wednesday said the Henderson-Brooks report -- the operation review of the 1962 Sino-India war -- revealed the incompetence of the Indian military top brass. Habibullah, who read the report before rejecting journalist Kuldip Nayar's request to disclose the contents under the Right to Information Act, said, "The report reveals the incompetence of the military top brass. But that was not why we rejected the plea for its disclosure. The Commission felt that the the report hinged on the question, which are still items of negotiation between India and China." While the government has been persistent in keeping the document under wraps through the years, there have been reports published-- notably by Neville Maxwell in 2001 -- that have divulged details of how things went wrong in 1962. The Commission had denied disclosure of the Henderson Brooks report in 2009 on the ground that it could endanger national security. "We have examined the report specifically in terms of its bearing on present national security. There is no doubt that the issue of the India- China border particularly along the North-east parts of India is still a live issue with ongoing negotiations between the two countries on this matter," CIC had reasoned last year. 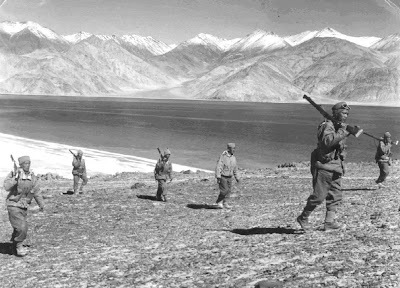 "The disclosure of information of which the Henderson Brooks report carries considerable detail on what precipitated the war of 1962 between India and China will seriously compromise both security and the relationship between India and China, thus having a bearing on both internal and external security," it had added. The Henderson Brooks report was prepared by Lt General Henderson Brooks and Brig Prem Bhagat as part of an internal review conducted on the Army's operation strategy in the North-east. The report was prepared on the orders of the then Chief of Army Staff General J N Chaudhuri. 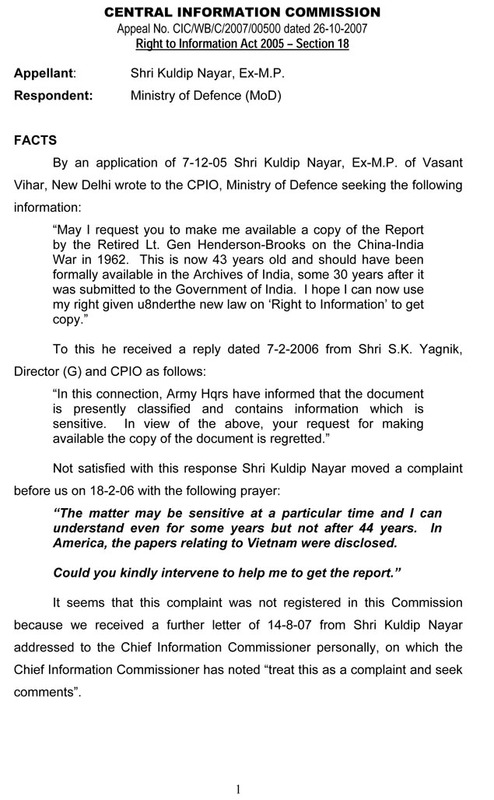 Applicant Kuldip Nayar had requested for the report to be made public, arguing that the document was 43 years old, and should have been formally available in the National Archives of India. 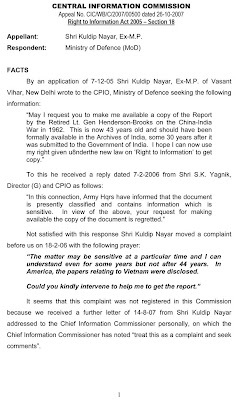 On being denied the information, Nayar had also pointed out that the papers related to Vietnam had been disclosed by the USA and the administration could not use the plea that the information was classified and sensitive. According to the defence ministry, the report was not even submitted to the government let alone placed in public domain. The report also included information on deployments that has a "direct bearing on the question of the demarcation of the Line of Control between India and China, a live issue under examination between the two countries at present". Have you heard of ‘Core Interests’? No, it has nothing to do with ‘organizing’ the CWG, IPL auctions, mining in tribal areas or OBC vote banks, though it is true that in India ‘core’ issues often veer around these subjects. “Core interests’ is the subject of a serious debate amongst the top leadership of the People’s Republic of China, both civilian and military. Traditionally, the ‘core interest’ of the Communist regime has been the continuation of the Party’s raj. 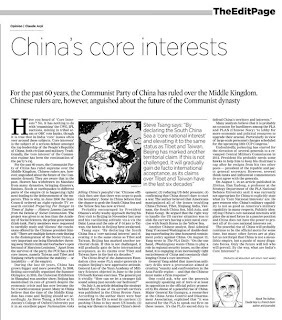 For the past 60 years, the Communist Party of China has ruled supreme over the Middle Kingdom. Chinese rulers are, however, anguished about the future of the Communist Dynasty. They are aware that in the past, Heaven has withdrawn its Mandate from many dynasties, bringing disasters, famines, floods or earthquakes to different parts of the Empire (it is happening right now) leading to the dethronement of the Emperors. This is why, in June 2006 the State Council ordered an eight-episode TV research entitled Preparing For Danger in Times of Safety — Historic Lessons Learned from the Demise of Soviet Communism. The project was given to no less than the Academy of Social Sciences, the prime government think-tank. Apart from the survival of the Party, the PCR has a few core issues, namely Taiwan and Tibet and Xinjiang (which symbolize the stability – or instability of the Empire). But during the last 60 years, China has grown bigger and more powerful. In 2008, Beijing organized successful Summer Olympics; in 2010, the Universal Exhibition in Shanghai was another show; Beijing has maintained its rate of growth despite the planetary economic crisis and has now become the No 2 world economic power. Many in China believe that the time of the Middle Kingdom has come and Beijing should act accordingly. 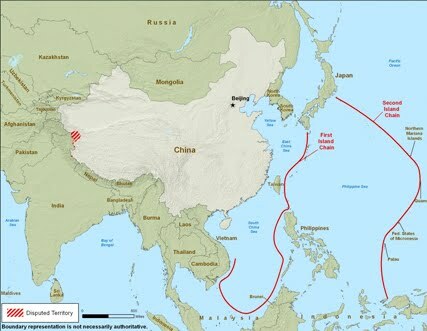 Some in China elieve that the chance to grab the South China Sea and the Yellow Sea has now arrived. Probably encouraged by President Obama’s wishy-washy approach during his first visit to Beijing in November last year and his vacillating attitude vis-à-vis the Dalai Lama and the sales of F16 jets to Taiwan, the hawks in Beijing have awakened. The China Brief of the Jamestown Foundation cites some PLA major-generals to explain Beijing’s new aggressive attitude. 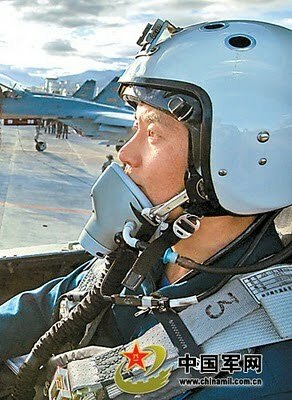 General Luo of the Yuan Academy of Military Sciences objected already in June to the joint U.S.-South Korean exercises. The general put it vividly: “How can we let a stranger fall sound asleep just outside our bedroom?”. He even quoted Mao Zedong: “If people don’t offend me, I won’t offend them; if people run afoul of me, I will surely hit them back”. On August 12, he advocated a strong stance against the US ‘hegemonism, gunboat diplomacy and unilateralism’ in the PLA Daily. On July 3, an article debating the strategy behind the US use of its aircraft carriers was published in the China Review News. According to the author there were four reasons for the US to send its carriers: (1) pushing China to buy more US bonds; (2) using war threats to hammer China’s development; (3) reducing US debt pressure; (4) confirming that China doesn’t dare to start a war. The author believed that the Americans manipulated all of the issues troubling China (Taiwan, Tibet, Xinjiang, India, Vietnam, the South China Sea, Mid-Asia, and Falun Gong). He argued that the right way to handle the US carrier situation was to sink the carriers having a joint naval exercise with South Korea in the Yellow Sea. One could ask, why are the generals seemingly speaking out of turn or at least in opposition to the official policy promoted by Hu Jintao of a peaceful rise of China. Undoubtedly, jockeying has started for the elevation of several generals to a revamped Central Military Commission in 2012. President Hu probably needs some hawks to help him to keep his Chairman’s cap after he resigns from his two other posts, President of the Republic and Party General Secretary. However, several think-tanks and influential commentators do not agree with the generals. On August 1, 2010, in an article published in Xinhua, Han Xudong, a professor at the Strategy Department of the PLA National Defense University argued that that it was currently not appropriate for China to explicitly state what China’s ‘Core National Interests’ are. He gave reasons why: “China’s military capability is not as good as America’s military capability in many respects. 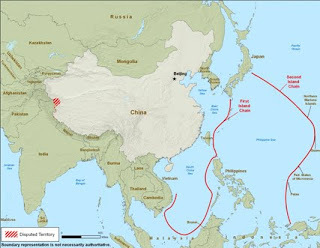 Publicly identifying China’s core national interests will place …the armed forces in a passive position and China does not have the power to protect all of its core national interests yet. The peaceful rise of China will probably continue to be the official motto for some time, but many other forces are at play. Let us not forget that China is not a monolithic Empire, but a puzzle of many disparate forces. Only the future will tell who will prevail. By the way, what are India’s Core Interests? This news is a few weeks old, but I am still wondering why the PLA have chosen to publicize this 'training' now. If one looks at the history of the railway line on the Tibetan plateau, it was first constructed with military objectives; to take minerals back to the mainland and bring tourists in, was only a collateral. This announcement is probably a way of reasserting the famous 'core interests' of the People's Republic of China. 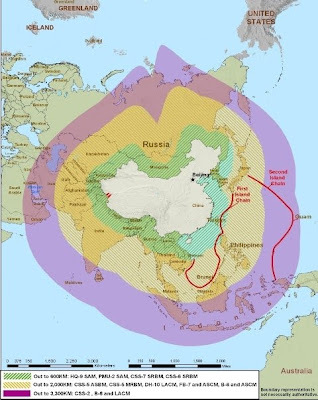 It is an indirect answer to the US-Korea Joint exercises in the Yellow Sea and a warning to India, especially after the Pentagon Report on China military stated that "the PLA has replaced older liquid-fueled, nuclear capable CSS-3 intermediate-range ballistic missiles [DF4] with more advanced and survivable solid-fueled CSS-5 MRBMs [DF-21]". In mid summer, a train loaded with important combat readiness materials of the Air Force of the Chinese People’s Liberation Army (PLA) got to the destination safely via the Qinghai-Tibet Railway. According to a leader of the Military Transportation Department of the Logistics Department of the PLA Air Force, this is the first time for his Military Transportation Department to organize combat readiness materials to be transported to Tibet by railway since the Qinghai-Tibet Railway opened to traffic, symbolizing a new improvement of the military transportation capacity of the PLA Air Force in combat support. As the average altitude of the Qinghai-Tibet Railway is above 4,000 meters, the transport guards are apt to cause altitude reaction sickness. To ensure the safety of the transportation, the Military Transportation Department of the PLA Air Force dispatched personnel to command in the forefront and follow the whole transportation process as well as participate in reinforcing, binding and inspecting materials on the way. To ensure transportation safety of important combat readiness materials, the officers and men of the Military Transportation Department of the PLA Air Force immediately examine the safety state of the train each time when the train stops at the stations along the Qinghai-Tibet Railway. They also persist in summing up experience after traveling for some distance, so as to adjust and improve the preplans for the following actions. During the stop process of the train, the security sentinels always keep a close watch, so as to ensure the important combat readiness materials to be transported to the destination safely. On July 27, the third-generation (G3) fighters of the PLA performed the live-shell patrol task for the first time over the plateau with a field occupation time of 8 hours, breaking a path of highly intensive training over the plateau, full load support and limit-challenging flight for the new type of fighters. Since March this year, the officers and men of an aviation regiment of the air force of the Chengdu Military Area Command (MAC) were ordered to enter a plateau airport in Southwest China to conduct field bivouacked training, organize flights in complicated meteorological conditions, tactics and fighting method exploration flights and extreme performance property testing flights under plateau conditions as well as high-altitude flights training in the new-type fighters under the conditions of low oxygen content and poor fighter maneuverability, in a bid to effectively improve the troops’ combat ability under special plateau conditions. Currently the proportion of the tactical training of the regiment in the field bivouacked training over the plateau stands at 80%. The Chinese leadership faces a serious problem with the revival of the religious interest in China. Mao used to say that 'religion is poison'. Fine, but now the Middle Kingdom counts a couple of hundred millions of religious practitioners. The question is how to keep this flock under the Party's control. President Hu says that the Party 'mentors' should be "politically reliable, intellectually knowledgeable, and morally convincing." Not easy to find such a rare birds. Recently Zhu Weiqun, the Executive Vice Minister of the United Front Work Department which deals with minorities and religious issues, went to Tibet on an inspection tour. In Shigtse,, a met a good 'Living Buddha' ... from Italy. Xinhau reported: "The Tibetan Gangjan Living Buddha from Italy, who just returned to TAR, presented white 'hada' [khata] to greet Vice Minister Zhu Weiqun. During his stay, Zhu and Gangjan Living Buddha planted two pine trees on the hillside in front of the Gangian Monstery to pray for the prosperity of China and the sound development of Tibetan Buddhism. Zhu spoke highly of Gangjan Living Buddha for his love for China and courage to stand up for truth and against the foreign separatist forces. Ganggian Living Buddha is a respectable Buddhist who has devoted himself to promoting Buddhist doctrines in Europe. He has won great respect among the European followers, according to Zhu." Outsourcing is probably the best solution. Source: Web site of United Front Work of Central Committee of Chinese Communist Party. Obviously, these 26,000 'geological' disasters are mainly due to the wild development witnessed in China for the past 30 years. 'To get rich is glorious is fine', but it has a price. Deforestation, mining, big or small dams comes with the cost. If this is taken into account (it is what is called Green GDP), China is not doing so well, even though the Middle Kingdom recently became the No 2 World Economic Power. India should also think before undertaking wild development, particularly mega hydro-power plants. With worst ever geological disasters hitting China in 2010, questions are being raised over the strategy to construct mega dams to divert river waters. China recorded more than 26,000 geological disasters in the first seven months of this year, nearly 10 times the number in the same period last year, Minister of Land and Resources Xu Shaoshi said. There were only 10,500 geological disasters in China in 2009. This year several counties were hit by mudslides engulfing several multi-storey buildings virtually burying the inmates alive. In the massive mudslides in Zhouqu County, northwest China's Gansu Province this month 1,434 were killed and 331 were still missing. Twenty three people were killed in Puladi Township in Gongshan in southwest China's Yunnan Province, two days ago. Sixty nine others are still missing. Over 2000 people were killed and several hundreds missing in relentless floods this year so far. Xu attributed the disasters to frequent extreme weather conditions such as severe drought and rainstorms, as well as to the impact of seismic activities and ruled out big dams like Three Gorges, which is the world's biggest dam of its kind responsible. It was a misconception to blame the mudslides ravaging northwest China on hydropower plants the country has built along major rivers. "The earthquake jolted many mountains which loosened the earth, the strong rain softened the slopes and landslides happen," Xu said. He denied that the hydropower plants on Chinese rivers were to be blamed for the frequent mudslides, saying their construction and the disasters were only a coincidence. "The recent mudslides were absolutely not related to the hydropower stations," he was quoted as saying in the official media here. 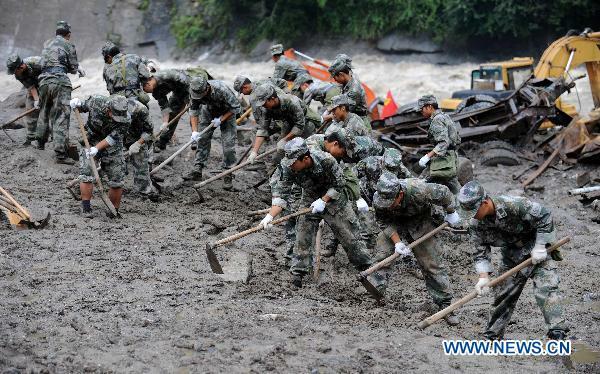 China has about 20,000 potential mudslide slopes, most of them in the west, Xu said. His comments came as dams were increasingly being blamed for floods, landslides and earthquakes due to large scale diversion of river waters. Besides this year's floods and mudslides, China experienced two major earthquakes during the last two years. 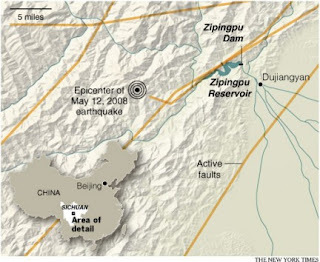 The earthquake in Sichuan province bordering Tibet in 2008 in which about 68,000 people killed. This year yet another earthquake struck the neighbouring Qinghai where about 2700 people were killed. Geological disasters such as landslides and mudslides cannot be adequately predicted by current scientific means, Zhang Zuochen, a geologist with China University of Geosciences said. "We can only predict that a gully is vulnerable to a mudslide and that the disaster will occur under specific circumstances. But we cannot predict when it will occur," Zhang said. The Chinese are upset again. Since they have become a quasi-superpower, they are constantly unhappy over one thing or another. This time they are objecting because the Dalai Lama made a courtesy call to Prime Minister Manmohan Singh on August 11. The Tibetan leader wanted to thank India for the hospitality offered to his people for the past five decades. Tempa Tsering, the Dalai Lama's representative in Delhi explained: “[The Dalai Lama] has been living in India for the past 50 years. There was nothing special about the meeting. He thanked the Prime Minister for [the] good care India has taken of him during this period." Though it was the first encounter with Dr. Manmohan Singh since the ruling United Progressive Alliance returned to power, the meeting was part of the Dalai Lama's regular interaction with Indian leaders, Tsering said. China is often infuriated. In November last year, Beijing was incensed by the Dalai Lama’s visit to Arunachal Pradesh (they claim that the Indian State belongs to them); a month earlier when the Prime Minister campaigned in the North-Eastern State, he was advised by Beijing not to step into ‘Southern Tibet’, the name they use for Arunachal Pradesh. Successive Indian Prime Ministers have always made it clear that the Dalai Lama was free to visit any part of the country and meet whoever he wanted. For the past 56 years, the Tibetan leader has regularly met Indian Prime Ministers, but it is only recently that the Chinese have begun protesting so noisily. The Dalai Lama met India’s first PM Jawaharlal Nehru for the first time in Beijing in October 1954. He was introduced by Zhou Enlai, the Chinese Premier. As soon as the Dalai Lama settled down in India in 1959, Nehru visited him in Mussorie; they had a 4-hour meeting. Lal Bahadur Shastri met the Tibetan leader before leaving for Tashkent. He even informed the Dalai Lama that the Government of India had decided to recognize the Tibetan Government-in-Exile. He told him that it would be done after he returned from the Soviet Union. Sadly (for India and Tibet), he never came back. 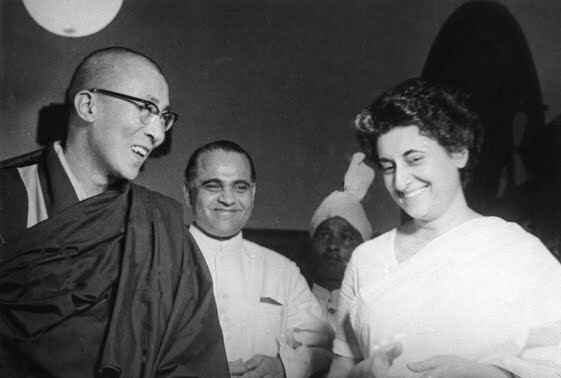 Indira Gandhi also met the Dalai Lama, as did Rajiv. 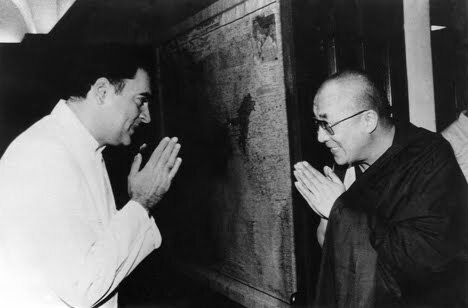 In the 1980’s, the Dalai Lama wrote several letters to Rajiv Gandhi, particularly to inform him of his decision to propose to China a Five-Point Peace Plan in September 1987. Usually these meetings are just courtesy calls and remain low key. The media gets to know after the event. 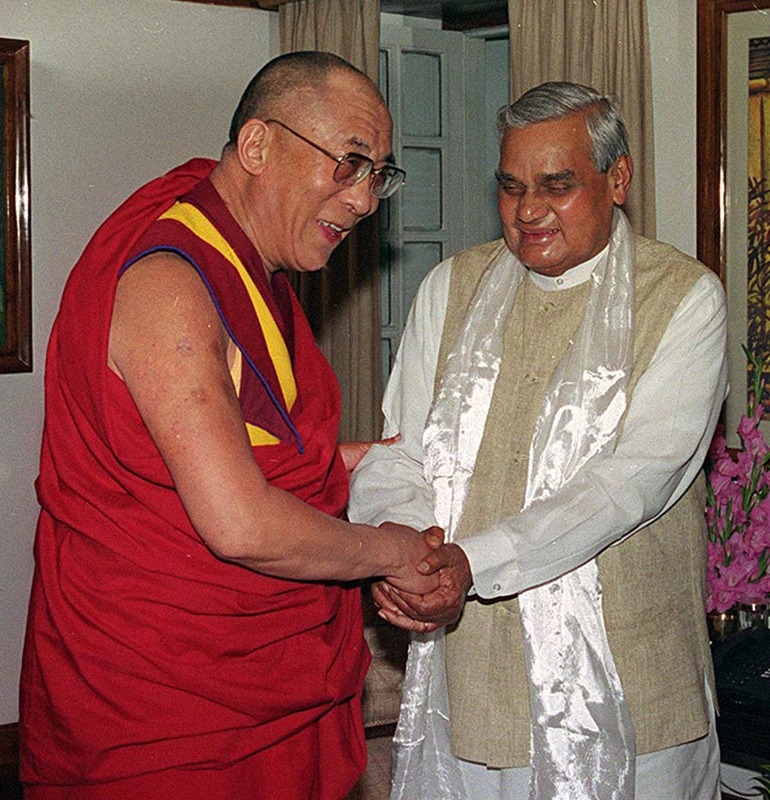 However B. Raman, the former RAW official and counter-terrorism expert recalls that in 1993 Narasimha Rao took the initiative to inform Li Peng, the Chinese Premier beforehand that he was to meet the Dalai Lama. The Chinese immediately objected to the meeting. Narasimha Rao nevertheless went ahead and met the Tibetan leader. Thereafter, Indian Prime Ministers never informed Beijing. It is logical, as Beijing does not ask India’s permission to receive guests in the Great Hall of People. All over the world, it is the prerogative of the PM of an independent State to receive whoever he wants. A meeting with Atal Bihari Vajpayee was rather strange. The Prime Minister was at his best, he remained silent for most of the encounter. I believe the Dalai Lama did not know about this old habit of the Prime Minister and was rather surprised. Vajpayee was possibly musing over the beautiful speeches he made on Tibet when he was a younger parliamentarian. Who knows! This time, Beijing was rightly told by the Indian Foreign Minister that the Dalai Lama is an 'honoured' guest of India and the Prime Minister has every right to meet him. In the meantime, the leaders in Beijing live in fear and take more and more repressive measures to 'control' the Tibetans. The purpose of the recent protest is probably to divert the attention from the happenings in Tibet. For example two influential Tibetans, though they had close relations with the Communist regime have recently been arrested. One is the well-known environmentalist and philanthropist Karma Samdup, while the other is Dorjee Tashi a Tibetan tycoon who ran a chain of hotels and a real estate business. Both have received awards from the Chinese government in the past. Dorjee Tashi, known as ‘Yak Tashi’, was an incredibly successful Tibetan businessman until June 26 2010, when the Lhasa Municipality Intermediate People’s Court convicted him for “illegal business operations” in a three-day secret trial. In Drugchu county alone 1,434 were killed and 331 are still missing. Though Beijing attributes the disasters to extreme weather conditions, it is clear that human (read Chinese) activities such as the construction of hundreds hydropower plants, large scale deforestation and wild mining have been the major factors triggering these ‘geological’ disasters. This causes tremendous resentment amongst the local Tibetan population. Take what could appear as a detail: the mudslide occurred in Drugchu county of Kanlho prefecture of Amdo province of Tibet. After the Chinese invasion, the Tibetan names have been changed to Zhouqu County of Gannan Autonomous Tibetan Prefecture of Gansu Province. Recently, the Chinese leadership seems to have again entered a spiral of repression. On 18/19 August 2010, the dreaded Public Security Ministry (PSB) organized a meeting of the PSBs of all ethnic Tibetan areas to assess “the results and experiences of upholding public security, struggle against the current separatist movement, and identified current challenges facing stability in Tibetan areas.” They reviewed the tightening of security measures. Two days earlier, the United Front Work Department, the Party Department dealing with minorities had a meeting at Shigatse also to “tighten religious institutions in Tibetan areas”. A dreadful program. The main problem is that the Chinese leadership does not understand that the Dalai Lama could be their best ally if they were serious about wanting to sort out the Tibetan issue in a peaceful manner. Mao Zedong had understood this and when the Dalai Lama was in Beijing in 1954-55, the Great Helmsman used to visit him in his Guest House to 'convince' him to work with China. It worked to a certain extent. Former Party General Secretary Hu Yaobang had also understood this in the early 1980's, but he was unfortunately sidelined by the hardliners. For Beijing, the best way to 'control' the Tibetans would be to make friend with the Dalai Lama and take him on board. But the present leadership does not have the foresight to meet the Dalai Lama or even to send their Ambassador to Dharamsala for 'talks'. I am sure that the Dalai Lama would not even mind to drop in at the Chinese Embassy in Delhi and have tea with the Ambassador, if invited. It is high time the Chinese leaders stop being ‘upset’. If they are really interested in China’s stability, they should just start a genuine dialogue with the Dalai Lama. My article Climate beyond control, Russia Is Burning; Cloudburst In Leh appeared yesterday in The Statesman. Click here to read. One more step towards the declassification of the Henderson-Brooks Report? Let us hope that the High Court will look into the present ridiculous situation and force the Government to frame some proper rules for the declassification of historical documents ...and implement them. The government is trying to hide information on then prime minister Jawaharlal Nehru's role in the 1962 Sino-Indian war by refusing access to those war papers, says Kuldip Nayar, veteran journalist and a former Indian envoy to Britain. Nayar filed a plea under the Right to Information Act three years ago to get access to classified papers relating to the 1962 war that humiliated New Delhi and led to the loss of 38,000 sq km of territory to the Chinese. Six months ago, Nayar said the Central Information Commission turned down his request, saying the documents can't be revealed in the interest of national security. Now, he has approached the high court to get access to these crucial papers which he feels can throw light on who was responsible for India's crushing defeat in the war. 'I was told that military tactics can't be revealed. What's so sensitive about information on tactics nearly five decades after the war?' Nayar told IANS. Does that mean the tactics have not changed, he asked. 'There is a political angle and there is a military angle to the war. I wanted to find out who was really responsible for India's defeat: the military or political leadership,' said Nayar. 'There is so much criticism of Nehru on how the war went. My suspicion is they don't want to reveal these papers as they do not want questions to be raised on Nehru's leadership,' said Nayar. The government is also sitting pretty on another plea of Nayar requesting access to documents pertaining to talks between Zulfikar Ali Bhutto and Swaran Singh, then foreign ministers of Pakistan and India respectively, after the 1965 India-Pakistan war. The information commission has asked the government to consider the request but nothing has moved so far, Nayar said. Asked why he was keen to get these papers, Nayar said there was a lot of pressure from Britain and the US on India to resolve the Kashmir issue after the 1965 war. 'There were five rounds of discussions between Swaran Singh and Bhutto on this issue. Their discussions on resolving the Kashmir issue are still relevant,' said Nayar. Under Indian law, all documents could be made available to the archives 30 years after the incident. 'It's happening in the US and the UK. There is a great need for transparency about historical events. The government has clearly something to hide,' said an incensed Nayar. Today the trade between India and China at Nathu-la is stagnating. It has not always been the case. "The Chinese were becoming greedier, they now wanted the rice to be delivered at Phari instead of Yatung. John Lall, a former Dewan of Sikkim, was posted in Gangtok when the supply of rice was in transit; he could witness the long caravan of mules leaving in the direction of Nathu-la. In his book on Aksai Chin, he recalled: "But suddenly all was sweetness and light. The reason became apparent when a request was made for shipment of Chinese rice through India and Sikkim to their troops in Tibet. This could, and indeed should, have been made the occasion for a settlement of the major problems with China as a prelude to the altogether unprecedented help requested from the Government of India. It simply did not occur to anyone in Delhi, and which caution as I advised was brushed aside. 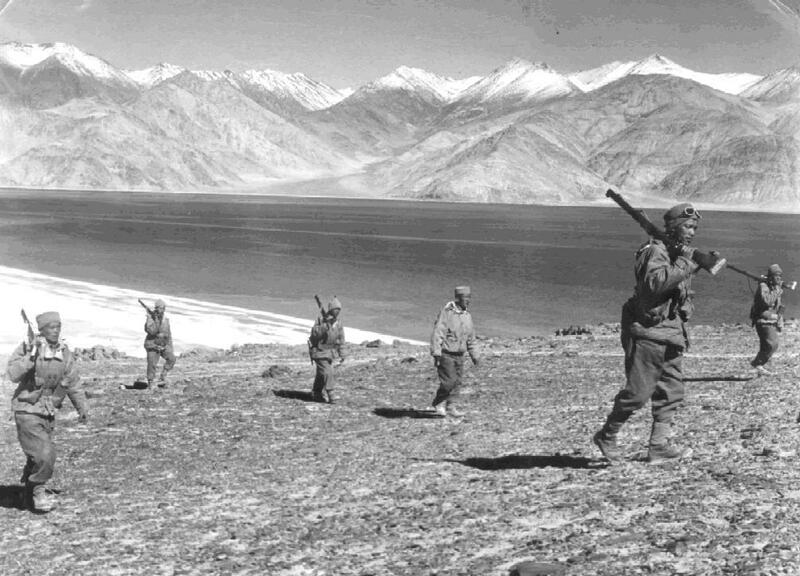 Released from anxiety on accounts of supplies, the Chinese and local Tibetan labour were able to press ahead with the vitally important task of creating a network of communications to defend frontiers of China with India." Today business is practically nil, but the Chinese are still building roads towards the Indian border. Infrastructure development was raised in the Rajya Sabha by Former Union Minister and Congress MP Ashwani Kumar. He expressed concern over the media reports that China was pursuing a major military build-up in a 'secretive manner' near India’s border. Though it is wrong to say that the Chinese are doing it 'secretly', the development of Nyngtri and Ngari districts in Tibet, north of Arunachal and Himachal/Ladakh respectively, is going on full swing. India is not apologetic, India is a slow moving elephant. Businessmen blame it on obsolete items on trade list. Barely three months are left for this year's Nathu La trade to end, but there is very little to show for. The fifth season of the Nathu La border trade between Sikkim and Tibet Autonomous Region in China continues its jinxed run with no imports taking place since the border opened for this year in May. Indian traders have recorded abysmally low business transactions — the same as the pervious years. Reports of the State Commerce and Industries Department says that exports from Sikkim have been averaging at Rs 35 lakh a month but there has been consistent recording of absolutely nil imports. For the second consecutive year, the import figures have remained at a dismal zero till date. As for exports, May saw the highest figures at Rs 45 lakh. The largest item of export was vegetable oil at Rs 18 lakh. The lowest was cigarettes at just Rs 3,000. In June, exports were to the tune of Rs 36 lakh with the largest item of export being vegetable oil at Rs 16 lakh while the lowest was tea at Rs 32,750. In July, exports stood at Rs 35 lakh. This time the largest item of export was canned food at Rs 8 lakh and the lowest was tea at Rs 85,000. Last year too the Nathu La border trade closed with zero imports. Traders on both sides of the border have attributed this lopsided business transaction to the list of tradable items, which do not cater to modern needs. According to the bilateral agreement in 2006, only 29 items can be exported to TAR from the Indian side while Chinese traders can export 15 items. Most of these items do not have commercial value, a fact both the Chinese and Sikkimese traders have highlighted in the past four years. The demand to alter the list is yet to be heeded by the Centre. Sikkimese traders have reiterated that the old list of items has no commercial value. They have been demanding a revision and expansion of the import-export list for increasing the volume of border trade. The Sikkim Government, through the nodal State Commerce and Industries Department, has repeatedly written to the Centre seeking an enhancement of the list of items allowed for trade. However, recent reports have suggested that the Central Government has made it clear that there can be no increase in the list for this season, especially as there has been no proposal for enhancement of the list from the Chinese side. The trade is due to close on November 30 for this session. After the publication of the US report "Military and Security Developments Involving the People’s Republic of China 2010", two Indian national dailies titled 'China wary of India's military might'. Well, I don't think it is correct, though India should wary of bit more of China's might. I am posting below the few lines on India in the 83-page report. Basically, China is just doing the necessary to be ready for any contingencies. Regarding the DF-21 missiles (called CCS-5 by the Americans), I wrote about it two years ago. Nothing new. It is an ongoing process and the logical consequence of the railway line reaching Lhasa. More interesting, regarding the 'contingency plans to move airborne troops into the region', The People's Daily recently mentioned that "Chinese paratroopers make 1st large-scale drop in Qinghai-Tibet's highlands" on August 13, 2010. The article says: "A group of Chinese airborne forces parachuted into the Qinghai-Tibet Plateau on Aug. 9, marking the successful completion of the air force's first large-scale airborne drill in the plateaus. The successful drill means that the Chinese air force now has the ability to carry out airborne operations in the highlands. 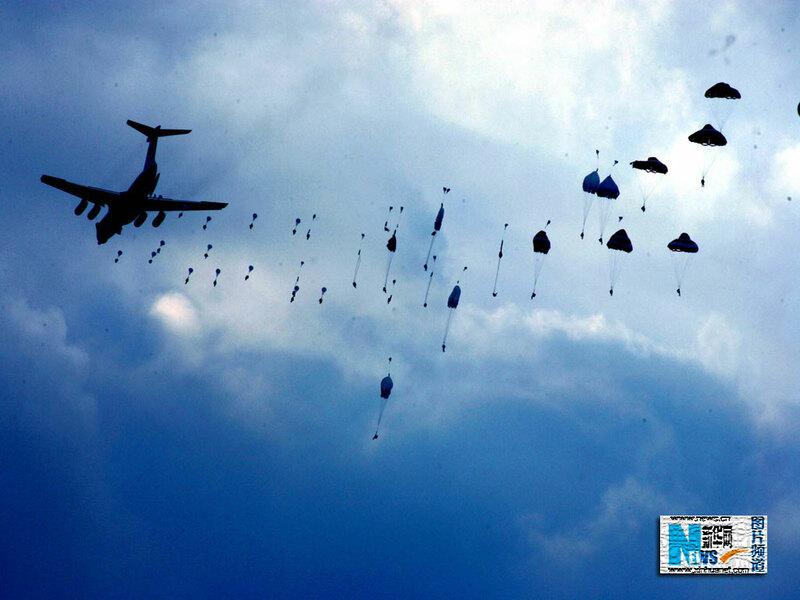 At 8 a.m. on Aug. 9, a group of airplanes flew through the clouds scattered over the high plateau of northwestern China as 600 fully-armed paratroops waited onboard for the order to jump. The large-scale airborne drill in the plateaus had a series of obstacles that threatened the paratroopers, including thin air, less oxygen as well as strong wind zones stretching thousands of kilometers. Yao Hengbin, the chief commander of the drill, said that they have undergone acclimatization training and had made plans for various emergencies ahead of the drill. They also have overcome the above difficulties. At 8:35 a.m., the paratroopers bailed out of the planes, their shoots exploding outward one-by-one like so many flowers blossoming in air. And just after landing, they quickly launched attacks against mock targets. 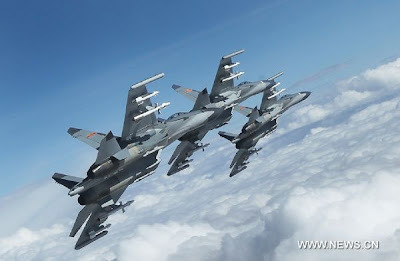 Fan Xiaojun, the political commissar of the force operating the drill said that the operation was of great significance for the Chinese air force. It proved that the Chinese airborne force could implement operational tasks at any time for an emergency in the highlands." What is an 'emergency' is another issue. 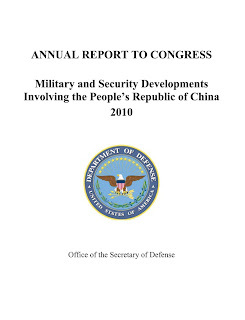 US Report "Military and Security Developments Involving the People’s Republic of China 2010"
China has deepened its ties with India through increased trade, high-level dialogues, and an improved military-to-military relationship. China and India agreed to boost trade from $11.4 billion in 2007 to $40 billion in 2010, and they have held several rounds of dialogue over disputed territorial claims. Sino-Indian defense ties were institutionalized in 2007 with the establishment of an Annual Defense Dialogue and by conducting three bilateral defense exercises since 2007. Nonetheless, Beijing remains concerned with persistent disputes along China’s shared border with India and the strategic ramifications of India’s rising economic, political, and military power. 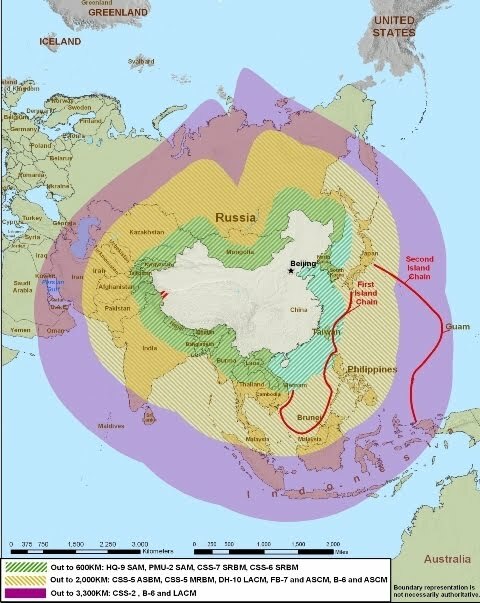 To improve regional deterrence, the PLA has replaced older liquid-fueled, nuclear capable CSS-3 intermediate-range ballistic missiles with more advanced and survivable solid-fueled CSS-5 MRBMs and may be developing contingency plans to move airborne troops into the region. China is currently investing in road development along the Sino-Indian border primarily to facilitate economic development in western China; improved roads would also support PLA border defense operations. 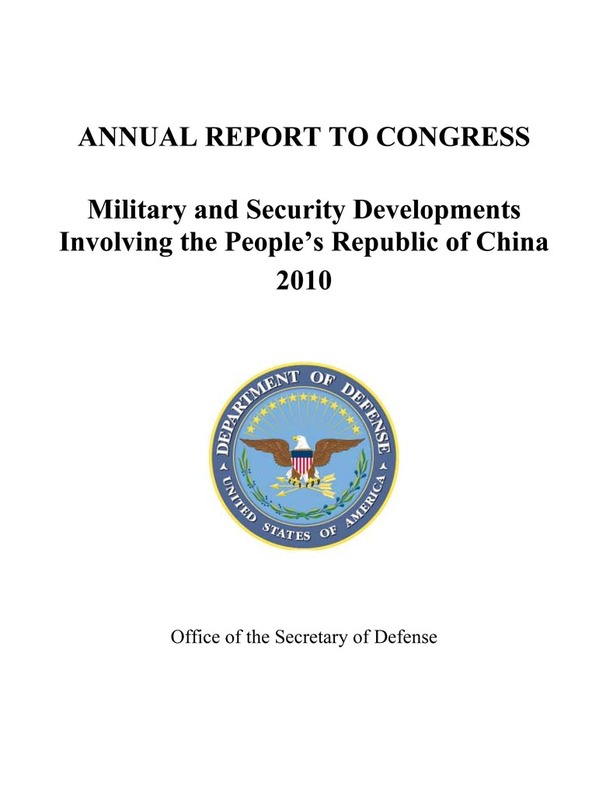 The annual report to the Congress Military and Security Developments Involving the People’s Republic of China 2010 has just been released by the Pentagon. I am posting here the Executive Summary. The situation is not rosy though at this point in time, the Pentagon would probably not like to antagonize Beijing further (after the joint exercises with South Korea). In fact, it purposefully delayed the publication of this Report. A few days ago a report in the China Post in Taipei gave three days only to the PLA to invade the 'renegade' island. From the China Post: "A computerized scenario carried out by Taiwan's military showed that in a war with China the island's capital Taipei would be in enemy hands in just three days, a report said yesterday. Last month's simulation, attended by President Ma Ying-jeou, came amid warnings that China could increase its missiles aimed at Taiwan by several hundred to more than 1,900 this year, despite warming ties. 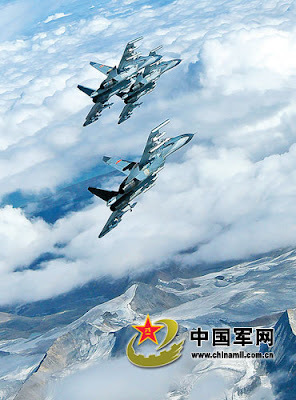 Under the scenario, assuming war in 2011, the People's Liberation Army (PLA) launched intensive air raids on Taiwan before sending in ground troops from sea and air, Next Magazine reported. The war game found that Chinese troops could march into Taipei on the third day of hostilities, seizing control of Taiwan's top military command and the presidential office, it said, quoting unnamed sources." It will be difficult for Taipei to catch up with the People's Republic advance. As the US Report put it: "The balance of cross-Strait military forces continues to shift in the mainland’s favor". A bit depressing! I am always surprised by the 'official' photos of Party bosses' visit in the countryside. Since 1949, they all look alike. I am sure that once the the photo is taken, the local Party cadres get back the chubas (Tibetan dresses) from the 'poor farmers' as well as the pots with wheat or barley. They are required for the next photo session! A friend of mine told that during the Cultural Revolution he knew of a factory which had been put up just for a photo session with a VIP. Can you believe it? Let us hope that Mr He will give a good 'inspection' report to his colleagues of the Standing Committee of the Politburo. He Guoqiang (C Front), a member of the Standing Committee of the Political Bureau of the Central Committee of the Communist Party of China (CPC) and chief of the CPC Central Commission for Discipline Inspection, talks with local farmers of the Tibetan ethnic group at Zhaxigang Village in Nyingchi County, southwest China's Tibet Autonomous Region, Aug. 14, 2010. 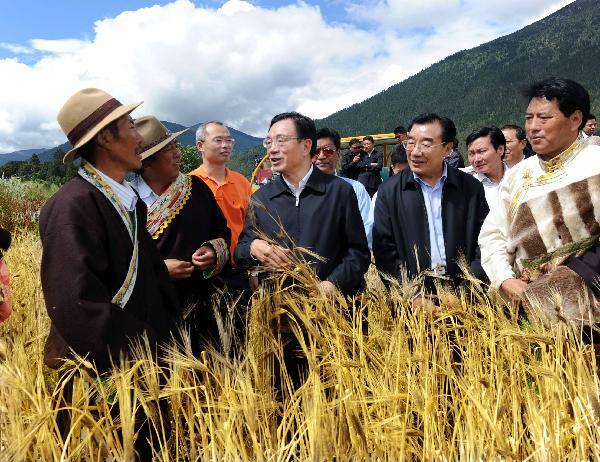 He Guoqiang made an inspection tour in Tibet Autonomous Region on Aug. 13-16, photo from Xinhua. A senior Chinese leader has called on local various-level governments and people in Tibet to make continuous efforts to achieve "leapfrog development and lasting stability" in the autonomous region. He Guoqiang, a member of the Standing Committee of the Political Bureau of the Communist Party of China (CPC) Central Committee, made the remarks during his four-day inspection tour of Tibet that ended Monday. He asked officials and people of all ethnic groups in Tibet to seize the available opportunities and to unite to promote the development and stability of the region. During his inspection tour, He visited communities, villages, a virgin forest in Nyingchi and the Potala Palace. At a meeting with people from the religious circles, He encouraged the monks to promote patriotism and called on them to contribute to the prosperity and ethnic unity in Tibet. He, in charge of disciplinary and supervision work, also asked local disciplinary and supervision personnel to promote clean governance and to intensify the fight against corruption. On a separate inspection tour in Tibet from Aug. 13-15, Du Qinglin, head of the United Front Work Department of the CPC Central Committee, asked monasteries to promote legal, standardized and scientific management. Du, also vice chairman of the National Committee of the Chinese People's Political Consultative Conference, asked local authorities to focus more on increasing the income and improve living standards of people from all ethnic groups in the area. 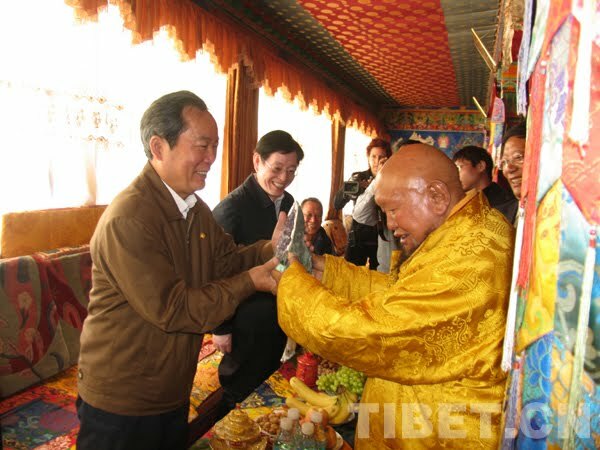 During his tour, Du visited farmers and herdsmen, old CPC members, and monasteries in Lhasa, Xigaze, and Shannan(Lhoka). Recently a ‘political’ novel, Shengshi: Zhongguo 2013 (2013: the Fat Years of China), written by Taiwanese art critic Chan Koon-chung was released in Hong Kong. The book had a tremendous impact on the former British colony, Taiwan and of course amongst netizens and bloggers in the People’s Republic. Since China has become the world’s second economic power, everyone understands the meaning of ‘fat years’; indeed, China is doing well (at least economically), though according to many China watchers, the ‘Chinese model’ is doing too well; it has created many self-contradictions. To maintain a tempo close to a double-digit growth, the Communist regime in Beijing has become an ogre devouring energy world-wide. Most of the raw materials (such as oil, gas, wood, minerals, etc.) necessary to feed the economic engine can be ‘bought’ from outside China, except for one: water. 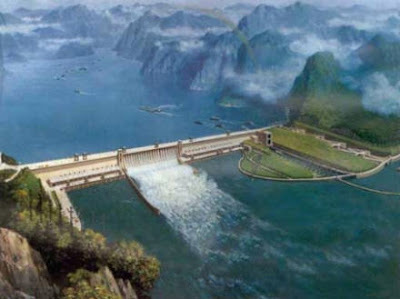 Water is therefore crucial to the survival of the Chinese model for two main reasons: the first is that the energy generated by hydropower plants is badly needed for the economy. China's theoretical hydro-power resources have been estimated at 384 gigawatts. Most of this potential comes from the Tibetan plateau (the purported dam on the Yarlung Tsangpo/Brahmaputra itself has a potential of 38 gigawatts). The second reason why water is so important to China is because the leaders need to feed more than 1.3 billion people. In the 1980’s, the American agronomist Lester Brown wrote a book, Who Will Feed China in which he studied the cases of Japan, Korea and Taiwan. The conversion of agricultural land for other uses (factories, residential areas, airports, roads, flyovers, etc…) had provoked the loss of 52% of Japan’s grain harvested areas, 46% of Korea’s and 42% of Taiwan’s, while more and more waters were being used for industrial purposes. Brown deducted that the same process will occur in China and ultimately China will be unable to feed its own people. A real nightmare for Beijing! With this in mind, Beijing engaged in the construction of mega-dams in the 1980’s (under Premier Li Peng, himself an hydrological engineer). During the past 25 years, China has built some of the largest hydroelectric plants in the world. The Three Gorges Dam started in 1994 has a capacity of 22,000 megawatts. Some 13 cities, 140 towns, and 1,600 villages were submerged under the world’s largest reservoir. More than 1.3 million people were displaced. Its cost was $ 37 billion. Despite these mega projects, water has become a rare commodity in the Middle Kingdom. One of the solutions to save China is to divert the waters from the hydraulically rich South to the thirsty North which has half the population but only 15% of the freshwater. Waters will be diverted via three channels in the eastern, central and western regions, using dams, tunnels and canals to draw 45 billion cubic meters of water upstream. It will cost $ 62 billion to complete and 350,000 people will have to be relocated. The western route would draw water from the Tibetan plateau via the upper reaches of the Yellow River to quench the deserts of the North-west. While the Eastern and Central section of the project are well under way, the western section is still at the planning stage, but it is where South Asia comes into the picture. Most of Asia’s waters flow from the Tibetan plateau, the principal watershed in Asia. Tibet’s waters flow down to eleven countries and are said to bring fresh water to over 85% of Asia’s population, approximately 50% of the world’s population. Four of the world’s ten major rivers, the Brahmaputra (or Yarlung Tsangpo in Tibet), the Yangtze, the Mekong and the Huang Ho (or Yellow River) have their headwaters on the Tibetan Plateau. The other major rivers which originate in Tibet are the Salween, the Irrawaddi, the Arun, the Karnali, the Sutlej and the Indus. For us in South Asia, the main concern is the Brahmaputra, the Indus and the Sutlej whose waters give life to more than one billion people living downstream. The perennial run of the rivers originating from these glaciers results in a stable flow of water to regions which are dominated by monsoon rainfall. However the construction of the mega-structures has consequences. If on one hand, China has become an expert in dam building, with the Chinese hydropower industry constructing hundreds of dams throughout Africa, Southeast Asia, Central Asia, South America and the Himalayas (Chinese companies have built or are building at least 13 dam projects in Nepal and 9 in Pakistan), on the other hand the double-digit development growth has serious negative effects on China’s natural resources (for example 70% of China’s freshwater is polluted). An indirect consequence: the May 2008 Sichuan earthquake which measured 7.9 on the Richter scale and caused the death of at least 70,000 people and left more than 5 million people homeless. Fan Xiao, a chief engineer at the Sichuan Geology and Mineral Bureau affirmed that the weight of nearby Zipingpu reservoir was one of the triggering factors: “I'm not saying the earthquake would not have happened without the dam, but the presence of the massive Zipingpu dam may have changed the size or time of the quake, thus creating a more violent quake”, he said. In August 2010, some 1200 dead bodies have been found in Drugchu county of Amdo province in Tibet, (Zhuoqu County of Gansu province for the Chinese). One Tibetan website Phayul.com explains: "Past news reports and statistics of Drugchu county reveal heavy damming of the valley, mining and deforestation." Tibetan blogger and poetess Woeser quotes several government reports: "There are 47 hydroelectric power plant construction projects in the region and so far 15 hydroelectric power plants have been constructed, 14 more are under construction,” adding that local Tibetans believe the extensive construction projects have upset the fragile ecosystem of the region." 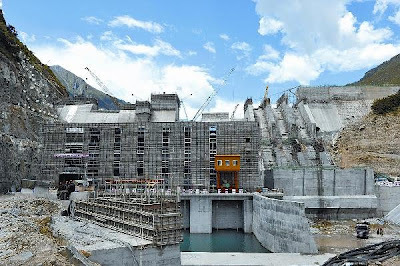 One can imagine what will happen if China decides to build the 38,000 megawatt dam (twice the Three Gorges Dams) on the Yarlung Tsangpo/Brahmaputra. Not only will large chunks of waters feeding Assam and Bangladesh be diverted to China, but the construction of and later the reservoir itself will create havoc in these eco-sensitive areas, north of the Indian border. It is frightening just to think about it. A few days ago, the Minister of State for Environment and Forests Jairam Ramesh told the Rajya Sabha in a written reply: "China has so far denied any proposal for diversion of Brahmaputra water in China. As per the information available with Government of India, no instances of water diversion activity on river Brahmaputra have been noticed so far." No doubt, China is going through ‘fat years’, but as far as the damming of the Brahmaputra is concerned, let us hope that the 'so far' will continue indefinitely. The end of the peaceful rise? Power for Tibet or from Tibet?